Stretch your travel dollars with these 50 free and cheap things to do while you’re in Austin. From affordable food truck eats and outdoor adventures to free museums and tours, you can experience the best of the city without putting a serious dent in your wallet. Texas State Capitol. Courtesy of the Texas State Preservation Board. 1. 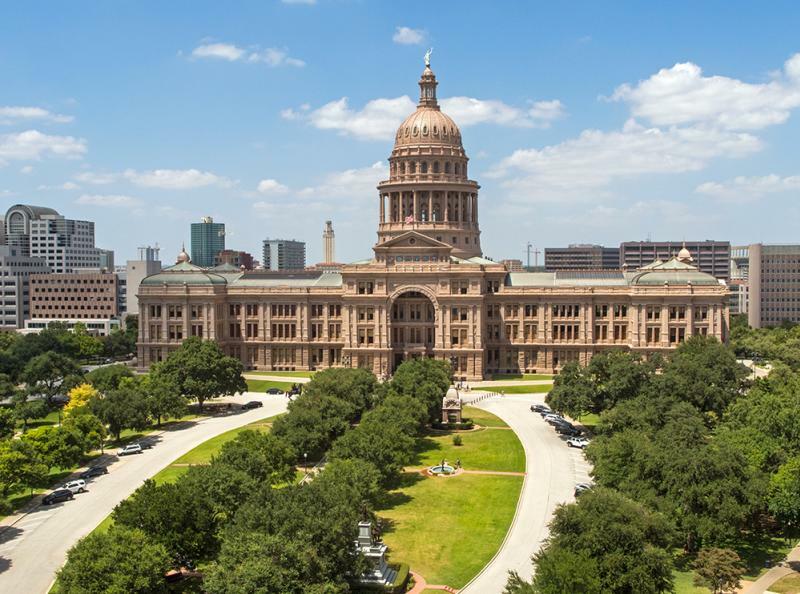 Stop in for a free guided tour of the granite Texas State Capitol, built in the late 1800s. 2. Tacos are a cheap and delicious dining option for breakfast, lunch or dinner! There are loads of amazing ones to try, but Veracruz All Natural has the distinction of being named one of the Top 5 Tacos in America by Food Network. 3. Bike or jog along the 10-mile Ann and Roy Butler Hike-and-Bike Trail at Lady Bird Lake, which winds along the shoreline and has picturesque views of Austin’s skyline. 4. View a stunning collection of modern art at The Contemporary Austin at the Jones Center and get free same-day entry to The Contemporary Austin-Laguna Gloria, a Mediterranean-style villa with an outdoor sculpture park. 5. Zip around town on your own with an electric bike rental from Rocket Electrics or join the guided four-hour Foodie Tour and visit hip gastro-pubs and food trailers. Broken Spoke. Credit Winker Withaneye. 6. 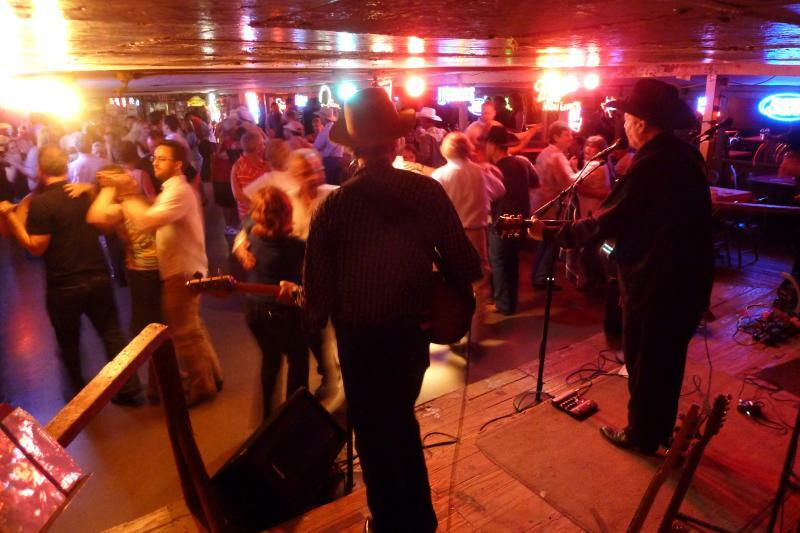 Do some two-stepping at Broken Spoke, an old-fashioned honky-tonk known for its chicken-fried steak and free dinner show with live bands Tues.-Sat. from 6-8 p.m.
7. Explore the multilevel part-tree fort, part-modern sculpture Cathedral of Junk, a dense tangle of jungle-like foliage intertwined with an estimated 60 tons of unusual items and tchotchkes (call ahead for availability). 8. Make tracks to the free Austin Nature & Science Center to explore nature trails, see small wildlife creatures and dig for “dinosaur fossils” in the Dino Pit. 9. For the ultimate Austin music tour, visit Austin City Limits (ACL) Live at The Moody Theater and get a behind-the-scenes look at the place where America’s longest-running television series is taped. 10. Pack a picnic and amble over to Zilker Park, a 360-acre oasis in the heart of downtown that’s home to Zilker Hillside Theater, Zilker Botanical Garden, Umlauf Sculpture Garden & Museum and Barton Springs Pool, a spring-fed swimming spot that’s also great for people watching. Courtesy of the Mighty Cone. 11. A food truck stop is a must. Post up at The Picnic, offering plenty of picnic tables and a variety of food trucks, including Hey Cupcake! and The Mighty Cone. 12. Take a hike up the stone steps to Mount Bonnell and get a panoramic view of the Austin area. This Lake Austin landmark has been a popular tourist destination since the 1850s. 13. Hike or bike along the Barton Creek Greenbelt to reach Gus Fruh, a swimming hole known for its famed Urban Assault limestone rock wall that’s a favorite of climbers. Explore further to discover the hidden Twin Falls and Sculpture Falls areas. 14. Take off on the Tejano Walking Trail, a self-guided tour of more than 20 culturally significant Hispanic sites in the East Cesar Chavez and Holly neighborhoods. 15. Visit the free Brush Square Museums that include the Susanna Dickinson Museum (the only Anglo adult survivor of the Battle of the Alamo) and the O. Henry Museum, former residence of the famed short story writer. Congress Avenue at Twilight. Credit Pierce Ingram. 16. Line up on the Congress Avenue Bridge to witness a staggering 1.5 million Mexican free-tailed bats fly into the sky from beneath the bridge nightly from spring through fall. 17. Double your fun with a yoga-and-hike session at the Barton Creek Greenbelt with Sanctuary Yoga. 18. Pack your cooler, grab a picnic blanket and stake out your spot on the grass at Zilker Park to enjoy Blues on the Green, the longest-running free concert series in Austin. 19. Join in the Austin Live Music Crawl with Austin Detours, led by a local musician who will take you to hidden gem music venues tucked into neighborhoods. 20. Hang out with the hipsters at Hotel San José and sip a refreshing Frosé or Michelada in the leafy courtyard. 21. 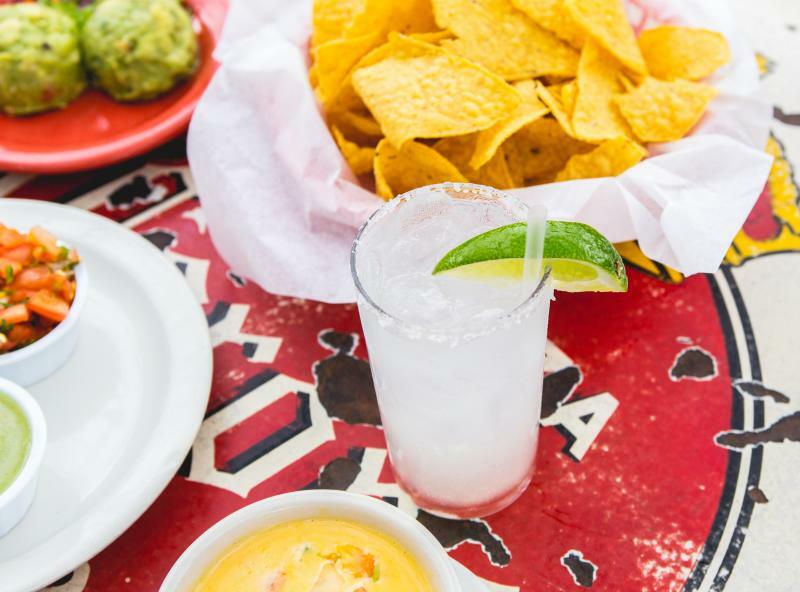 Try the tacos with handmade tortillas and hand-shaken margaritas at Güero’s Taco Bar on South Congress, where its Oak Garden hosts free live music Wed.-Sun. nights. 22. Take a shopping stroll along South Congress, known for its funky stores and chic boutiques. Check out the kicks at Allens Boots, affordable jewelry by local artists at Parts & Labour, and beautiful gifts from around the world at Tesoros Trading Company. 23. The huge Deep Eddy Pool is the state’s oldest pool. Catch Splash Party Movie Nights, when family-friendly films are projected on an inflatable screen. 24. Be sure to stop at the original flagship Whole Foods Market, where you’ll find four restaurants, a beer and wine bar, a food truck, and live rooftop tunes and events. 25. 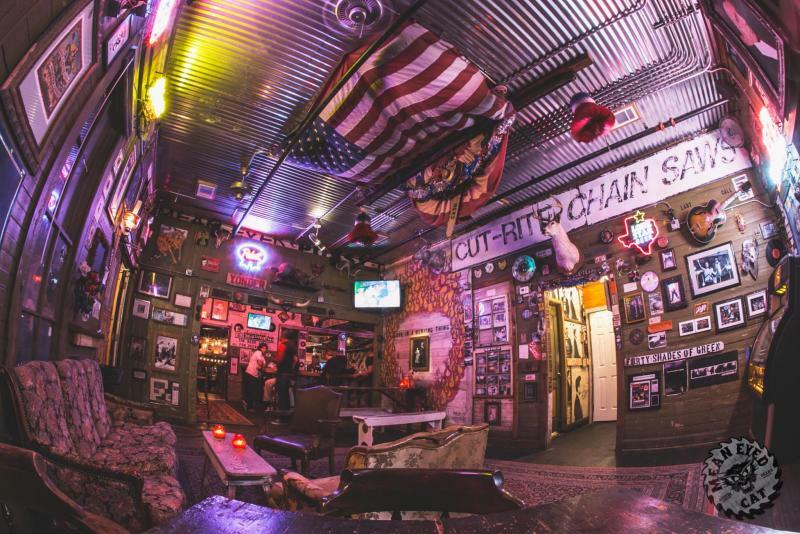 The Little Longhorn Saloon is the center of Austin’s honky-tonk country music scene, and there’s never a cover charge. It’s also known for its six-days-a-week happy hour, with $1 Lone Star beers. 26. 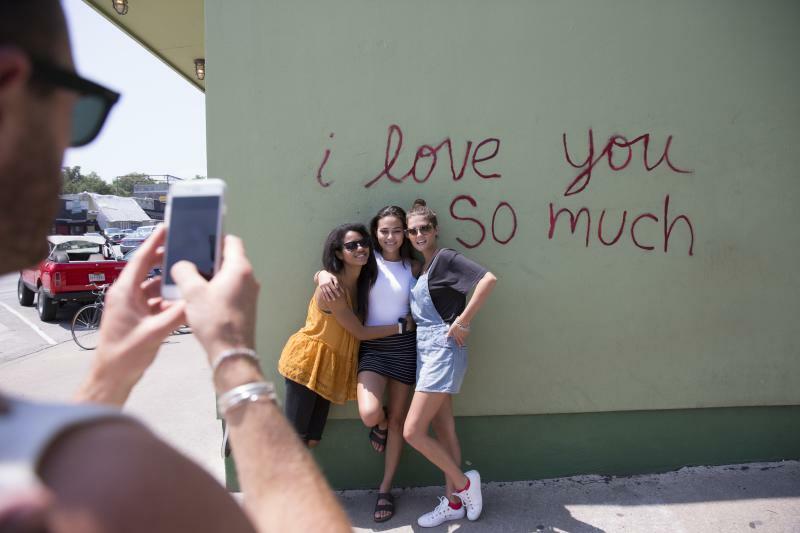 Take a self-guided tour of Austin’s iconic murals, including Greetings from Austin at South First and Annie Streets; Hi, How Are You at Guadalupe and 21st Streets; and the “I love you so much” mural painted on the wall of Jo&apos;s Coffee on South Congress. 27. You can catch six acts in a single night at The Saxon Pub, a haven for singer-songwriters since 1990. See a free weekday happy hour show, a weekend matinee or a late-night performance. 28. This Zilker Summer Musical has been a fan favorite for almost 60 years. The selected musical of the year runs at the Zilker Hillside Theatre from July into early August, and is free to the public. 29. Go on a shopping spree in the trendy West Sixth District, where you can wander the bookshelves or listen to a free author reading at BookPeople. 30. The free Elisabet Ney Museum is housed in what was once the German-born sculptress’ home and studio. The museum displays the largest collection of Ney’s work in the world, including portrait sculptures of notable 19th century Texans. 31. 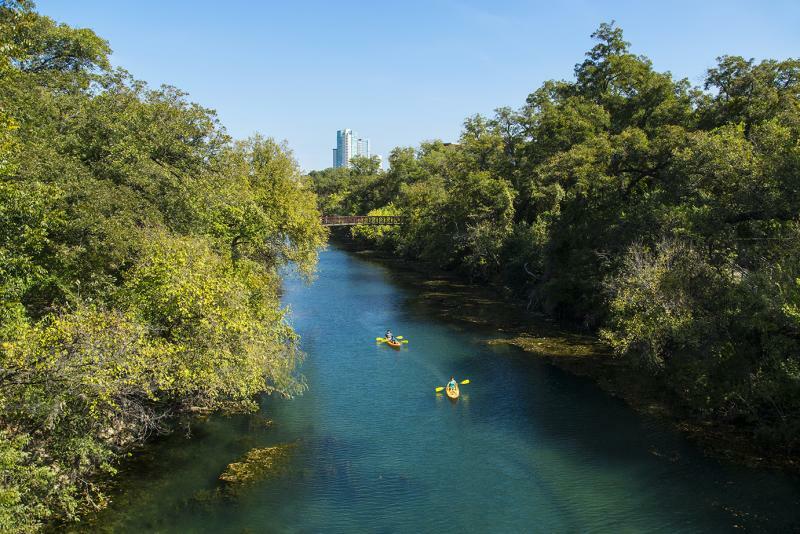 Get on the water at Lady Bird Lake, where you can rent stand-up paddleboards, kayaks and canoes from Rowing Dock, Congress Avenue Kayaks, SUP ATX, Austin City Kayak Tours, Zilker Park Boat Rentals and more. 32. Experience a lush hidden escape within the city limits at the quiet, 80-acre St. Edward&apos;s Park, with lots of easy trails and a swimming hole with an old-fashioned rope swing. 33. Taste an Austin tradition at the roadside Sandy’s Hamburgers, open since 1946. 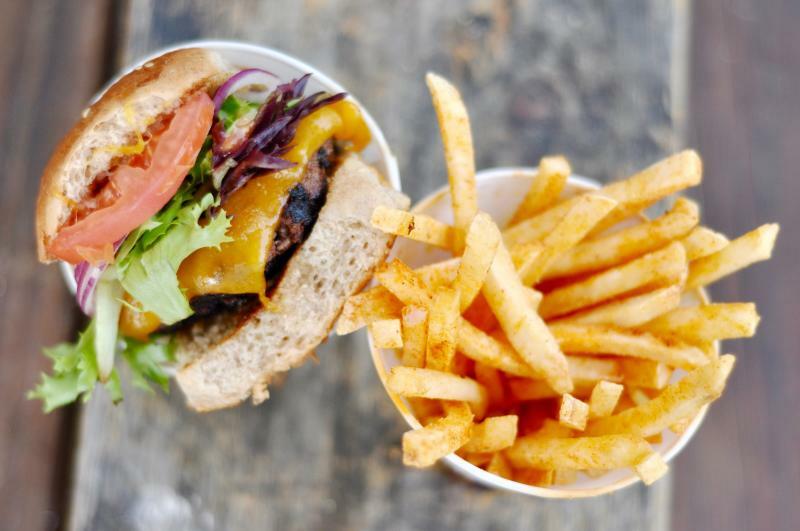 Must-orders include the double cheeseburger with fries, frozen custard and frosty root beer. 34. With a soft spot for Texas musicians, Austin’s iconic Waterloo Records frequently presents free in-store performances by emerging local musicians. Afterwards, spend some time flipping through the shop’s extensive selection of vinyl. 35. Make like an Austinite and stop in at Quickie Pickie, a neighborhood market and eatery featuring locally roasted coffee, 24 taps and house-smoked specialties like pulled pork sandwiches from the acclaimed la Barbecue (East Cesar Chavez location only). Unplugged at the Grove. Courtesy of Mosak Advertising & Insights. 36. 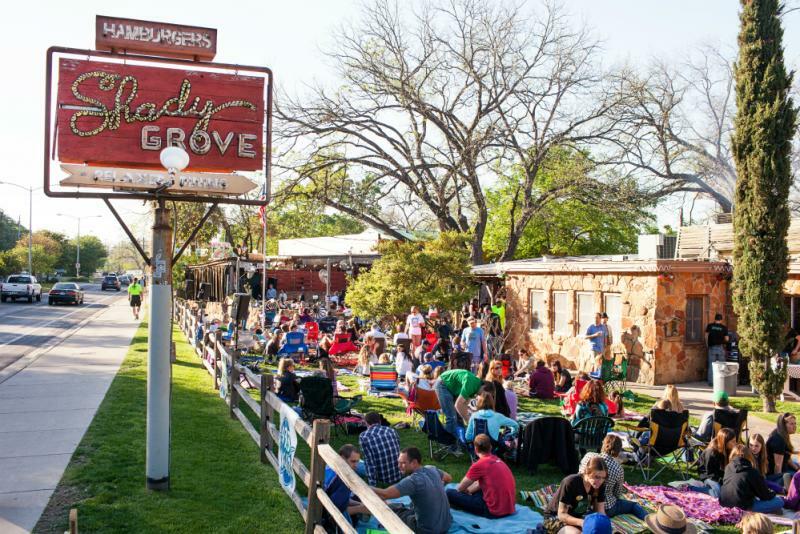 Sit beneath the strung lights and the sprawling pecan tree stretched over Shady Grove’s patio and catch a live concert at the free Unplugged at The Grove music series. 37. Originally an early 1900s summer retreat for the family of prominent Austin politician Allison Mayfield, today Mayfield Park is a beautiful public green space known for its vibrant strutting peacocks. 38. The elegant Texas Governor’s Mansion was built in 1927 by the state’s first female governess, Miriam “Ma” Ferguson, and offers free guided tours. 39. Volcom Garden is a combination boutique, art gallery and live music venue. This free creative hub welcomes local musicians, artists and creators. Catch a gallery exhibit or live music show. 40. If classical music is your jam, you won’t want to miss Austin Symphony Concerts in the Park, held on the lawn of Hartman Concert Park at the Long Center. On summer Sunday evenings, bring a lawn chair or blanket and kick back under the stars. SFC Farmers Market. Courtesy of the Sustainable Food Center, credit Buff Strickland. 41. 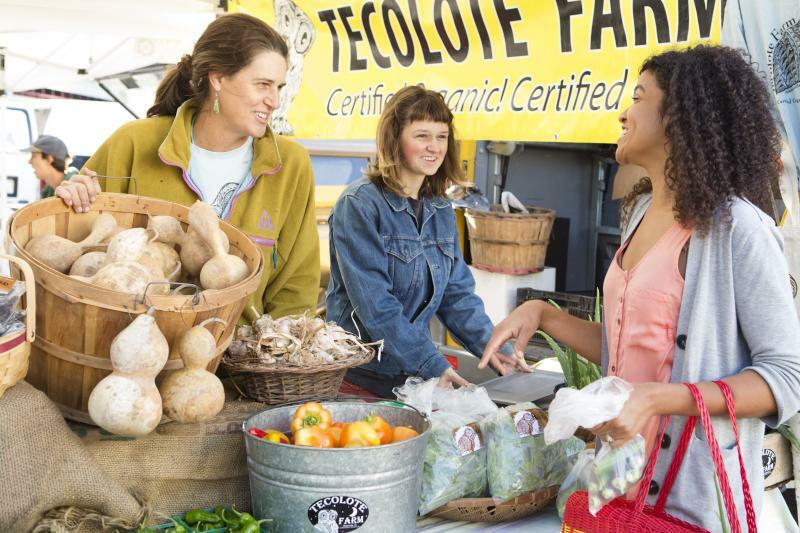 You won’t be able to resist the homemade treats and gourmet snacks at the SFC Farmers’ Market Downtown, held Saturdays in the historic Republic Square Park. 42. Get out there and be a part of Austin&apos;s history. Take a guided historic walking tour from the Austin Visitor Center and explore the stately Victorian homes of the Bremond Block Historic District, downtown sites from the Capital to Sixth Street and more. 43. After a day of exploration at Austin&apos;s Bullock Texas State History Museum, stick around for the free Cool Summer Nights event series. With one program a month throughout summer, the museum will celebrate culture, community and Texas history. 44. Kids can paint, climb and make a splash at Thinkery, Austin&apos;s interactive children&apos;s museum. During Wednesday Community Nights, admission is by donation ($1 is suggested). 45. Austin is packed with top notch dining happy hour deals. Find them at the critically acclaimed Barley Swine (half-off select plates), Peché (half-off food and $5 drinks) and La Condesa ($2 tacos, half-off drinks). Courtesy of Mean Eyed Cat. 46. Happy hour is a great way to drink on the cheap. Cool off with a margarita at El Arroyo, which offers $2.75 house margaritas, $3.50 skinny ritas, $2.75 queso and $2.75 Dos Equis for happy hour. Or toast the man in black at the divey Mean Eyed Cat, a Johnny Cash-themed bar that has a happy hour Mon.-Fri.
47. The Wine Down at 3TEN ACL Live (located below ACL Live at The Moody Theater) features a free concert every last Wed. from 5-8 p.m., April through September. Also indulge in free food samples, happy hour-priced wine and local pop-up shops. 48. The Paramount Theatre is a century-old performance venue and movie theater located in the heart of downtown Austin. Originally opened as a vaudeville house, today the eclectic entertainment ranges from music to a summer classic film series. 49. The University of Texas at Austin is home to an impressive collection of museums, including the Blanton Museum of Art and the LBJ Presidential Library (featuring inspiring exhibits on President Lyndon Baines Johnson and his beloved wife, Lady Bird Johnson). 50. Make reservations for Sunday Gospel Brunch at Stubb’s Bar-B-Q, an Austin music institution that serves up lip-smacking barbecue along with some of the best live bands around, all for one reasonable price. Need more insider advice? Stop by the Austin Visitor Center for local tips, gifts, tours and more!